The Cheetah in many ways is peculiar amongst the many cat species. In both looks and physical mobility it resembles a large muscular greyhound - its long streamlined body is carried on long, thin but powerful legs, which endow it with great speed in the chase. 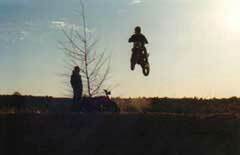 A fully grown cheetah can reach speeds in excess of 60 mph and can easily outrun any animal over short distances. Its paws too, are almost dog-like, narrow and hard padded they sport only slightly retractable claws, the only of its type amongst the species of cat, and offer the cat extra grip in its high-speed pursuits. The cheetah unlike other Big Cats does not roar, however it does purr and other vocal sounds range from high pitched yelps and barks to longer chirruping sounds. The cheetahs hunting technique has been adapted to suit its speed and agility and unlike many other wild cats it hunts mainly by day. It will follow its prey from a distance, commonly the large herds of gazelle, impala or antelope, selecting old, injured or young animals, whos speed will be impaired. Once selected the cheetah will give chase and with its superior speed, more often than not succeed in bringing down its prey on the first attempt. The cheetahs powerful jaw muscles enable the cat to grip its prey, without pause, for several minutes and it uses this to suffocate its catch by clamping the windpipe. Interestingly, compared to other species of wild cat, the cheetah has enlarged nasal passages which enables it to breathe more easily during this final phase of the kill. Once the kill has been made the cheetah however will often pause to regain its strength before eating - at this time the cheetah itself is vulnerable and can often lose its prey to packs of hyenas or to other scavengers of the open plains. The cheetah will hunt alone or in family groups, usually comprising of adult male relatives - such groups usually have much larger territories than the lone female hunter who must stay close to here young. Cheetah cubs, born between 2 and 4 to the litter, have a poor survival rate, commonly falling prey to lions or pack of hyenas. After approximately 18 month following and learning from their mother, the young cheetah is ready to fend for itself. 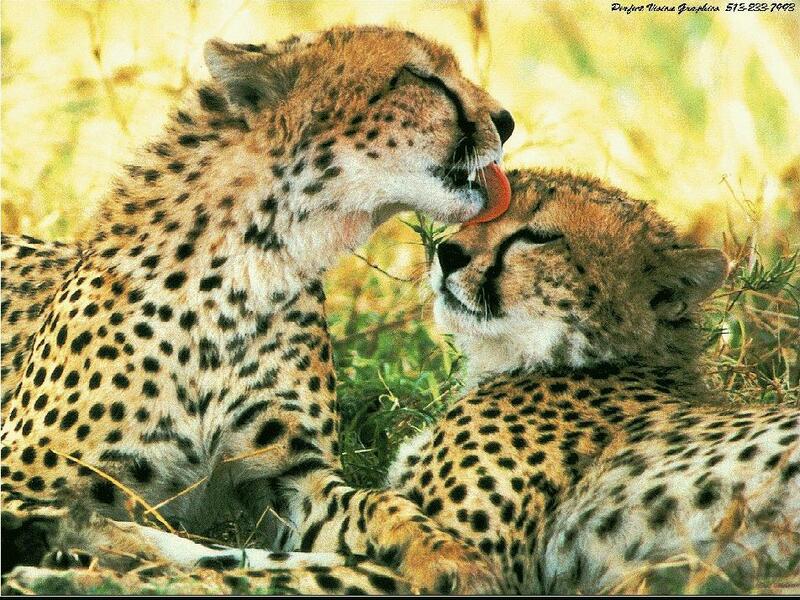 Once the cheetahs range ran from India, through the Middle East and extended to the very south of the African continent. Today, to the north, the Asian cheetah, A.j.venaticus is almost extinct and can only be found in a few remote areas of Iran and Afghanistan. In Africa, with the spread of the human influence and exploitation in hunting, the cheetahs range has shrunken dramatically - now only the grass lands and plains of east and central Africa are home to its dwindling numbers. It is now thought that due to its reduced numbers the cheetah is also under threat genetically from inbreeding, reducing the animals immunity from disease and its ability to cope with changes in its environment. Although there is little physical difference, apart from size variation, between the African and Asian cheetahs, the King Cheetah (see photo) displays a noticeable deviation in its markings. Once believed to be a sub-species, the king cheetah displays longer fur on the back of the head and neck, resembling a localised mane, as well as elongated spots which join to form long irregular markings along its back. It s now believed that this difference in markings is a result of a recessive gene and a king cheetah and normally marked cheetah have been reported in the same litter. However sightings of the king cheetah have been restricted in location, to in and around Zimbabwe. 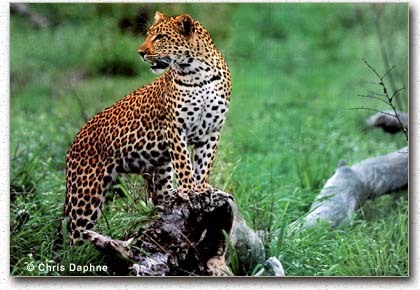 Leopards occur in most of sub-Saharan Africa. 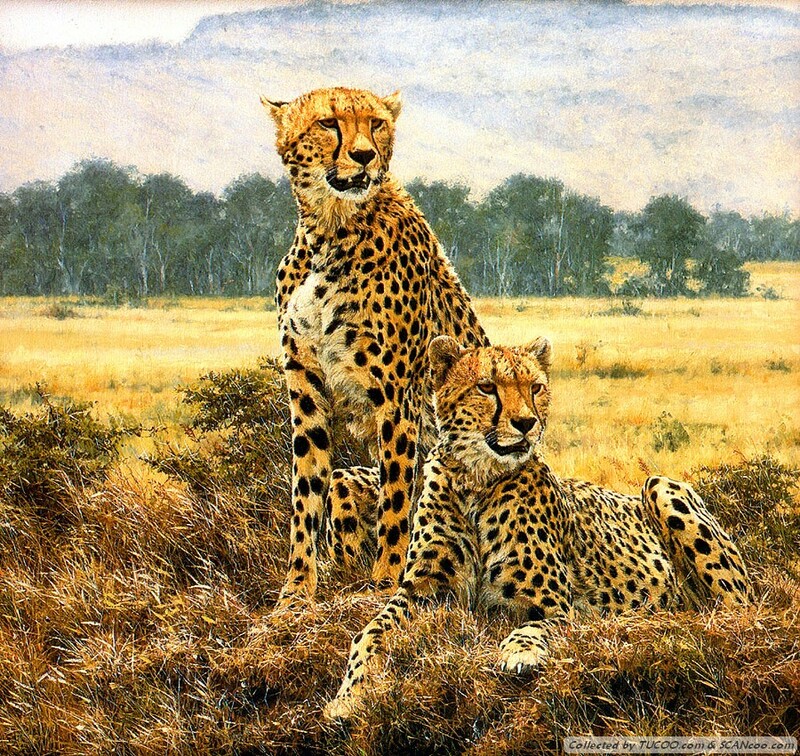 They are found in all habitats with annual rainfall above 50 mm (Monod 1965), and can penetrate areas with less than this amount of rainfall along river courses: e.g., leopards are found along the Orange River in the Richtersveld National Park (South Africa), which lies at the southernmost extension of the Namib Desert (Stuart and Stuart 1989). 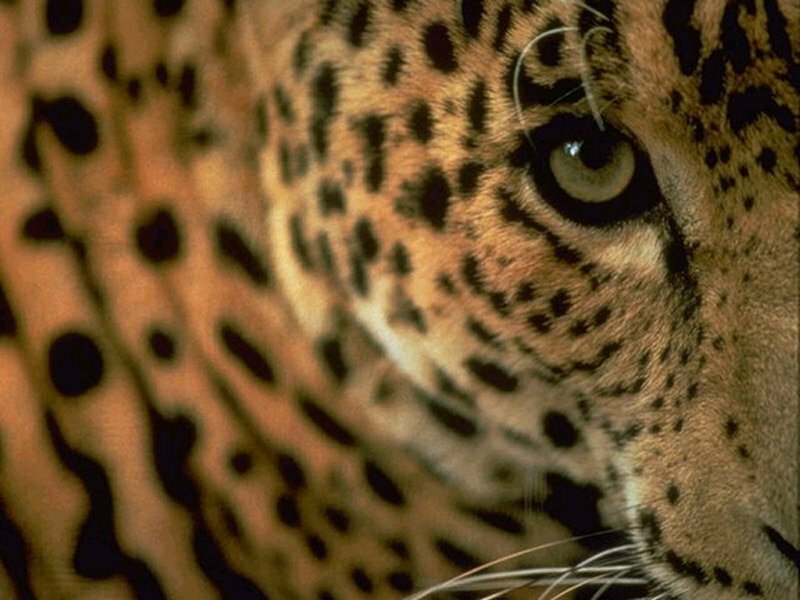 Out of all the African cats, the leopard is the only species which occupies both rainforest and arid desert habitats. Leopards range exceptionally up to 5,700 m, where a carcass was discovered on the rim of Mt Kilimanjaros Kibo Crater in 1926 (Guggisberg 1975). They are abundant on the highest slopes of the Ruwenzori and Virunga volcanoes, and have been observed to drink thermal water (37°C) in Zaires Virunga National Park (J. Verschuren in litt. 1993). The leopard appears to be very successful at adapting to altered natural habitat and settled environments in the absence of intense persecution. There are many records of their presence near major cities (e.g., Turnbull-Kemp 1967, Guggisberg 1975, Tello 1986a, Martin and de Meulenaer 1988: 18; G. Davies, B. Hoppe-Dominik, R. Kock, P. Norton in litt. 1993). Hamilton (1986b) reports their occurrence in western Kenya in extensively cultivated districts with more than 150 persons/km2, the largest livestock populations in the country, little natural habitat and prey, and where 20 years ago they had been considered extirpated. 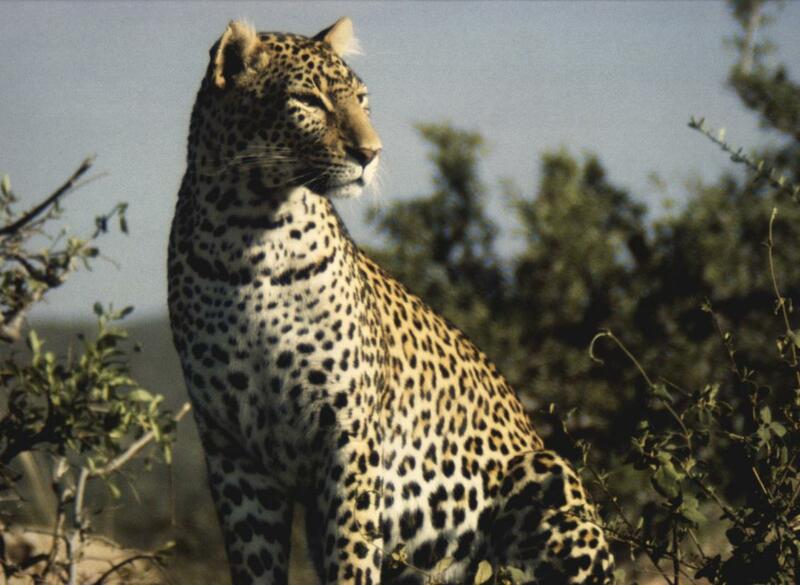 However, leopards appear to have become rare throughout much of West Africa (Martin and de Meulenaer 1988: 11-14). According to T. Anada (in litt. 1993), they have completely disappeared from much of the Western Sahel.